How can the growth engine in sub-Saharan African be restarted? After almost two decades of robust growth, there has been a sharp deceleration in economic activity in sub-Saharan Africa. Lower commodity prices, but also mounting imbalances in some of the region’s largest economies, have taken average growth for the whole region down to about 1.5% in 2016. A slight increase to around 2.5% is expected this year — markedly lower than the 5-6% of earlier years. 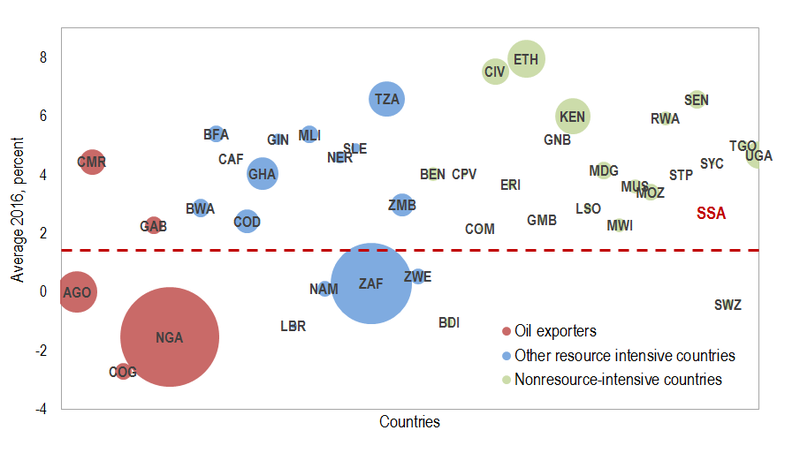 The full picture is more complex: since 2014, oil exporters, including Nigeria and Angola, have experienced substantial declines in growth leading to large revenue losses and balance-of-payments pressures. 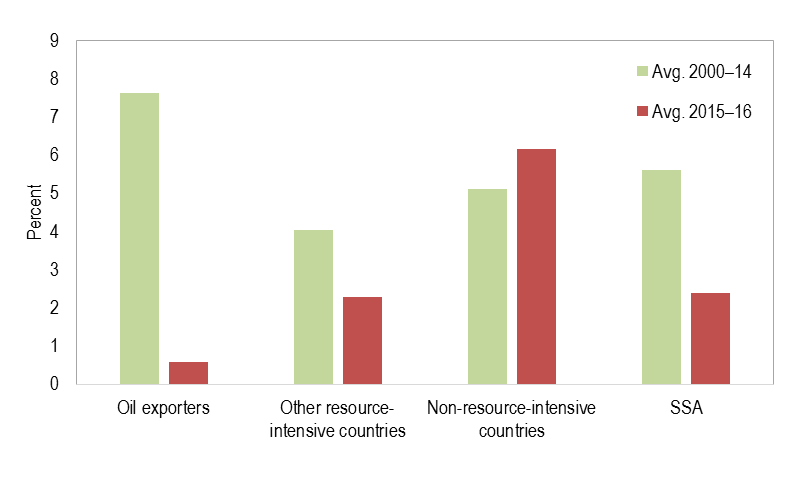 Conditions in many other resource-intensive countries, including South Africa, have also remained difficult. At the same time, most countries that are not resource-intensive — such as Côte d’Ivoire, Kenya or Senegal — continue to grow robustly. But, even in these faster growing countries, vulnerabilities are building. So how can the growth engine in sub-Saharan African be restarted? In the spirit of the Ghanaian Akan Sankofa bird, we should draw on the past to chart the way forward. Looking back at the period from 1950–2016, sub-Saharan African countries have not had any trouble getting growth going. Furthermore, since 2000, in contrast to other developing economies, countries in the region have experienced less volatile growth and fewer growth decelerations (“down-breaks”), while still enjoying numerous growth accelerations (“up-breaks”). Likewise, sustained periods of growth (“growth spells”) have been common in sub-Saharan Africa. The region has recorded about 40 growth spells between 1950 and 2016 — a record that is in line with other regions. What’s more, growth spells in sub-Saharan Africa became more frequent after 1995. This reflects improvements in the business and macroeconomic environment, increased trade integration, and a generally supportive global environment with high commodity prices and accommodating financial conditions. This good performance was spread throughout the region — in both resource-intensive countries and countries that are not resource-intensive — providing an opportunity to lift living conditions across the continent. Getting growth started is one thing, keeping it going is another. Our work shows that compared with other regions, growth spells tend to be shorter and more often end in a ‘hard landings’ with economies lapsing into recession. This result still holds after controlling for the incidence of armed and political conflicts. To understand these findings, we looked into the factors that underpin durable and sustained growth episodes. We found that the key driving factors are a supportive external environment and the right economic policies and institutions. But how important are these factors and policies in prolonging growth spells? As it turns out, they matter a lot. Starting from the median value in sub-Saharan Africa, an improvement in macroeconomic variables or institutions by 25 percentile points increases the typical length of a growth spell by one to eight years. Those additional years of growth provide significant opportunities to further raise living standards. All in all, sub-Saharan African countries are good at getting growth going; there have been many more growth spells of late; and sustaining growth requires getting domestic policy right. So, what concrete actions are needed at the current juncture? In those countries where significant macroeconomic imbalances have emerged, the reform priorities are: reducing fiscal deficits through stronger domestic revenue mobilization; better prioritization of spending on key infrastructure projects and social protection; and, where the monetary regime allows for it, greater exchange rate flexibility to foster competition and economic diversification. In countries where growth remains buoyant, it is important to avoid an unsustainable increase in public debt while they are still in a position of strength. Here too, greater revenue mobilization offers the best route to maintain fiscal space for the many development spending objectives countries have. For all countries in the region, complementing macroeconomic policy reforms with reforms to unlock growth potential is critical. These efforts include: strengthening the macro-structural policies that support investment and economic diversification; facilitating the adoption of technology; and promoting openness and integration with the global economy. Now is the time to take steps to adjust policies to ensure macro-stability so the region can move beyond its current rough patch and restart the growth engine in the medium-term. How long have humans been causing extinctions?